Rey:You are a monster.Kylo:Yes,I am. 1.Poe:Happy beeps.高兴点. 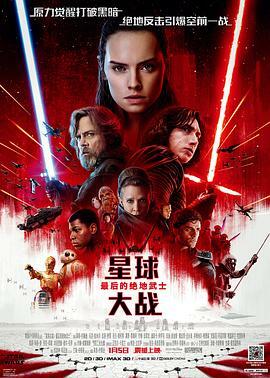 2.Luke:Balance.Powerful light,powerful darkness.有多强的光明,就有多强的黑暗. 3.慢,怀疑.犹豫不定.是最邪恶. 解法: Rey:You are a monster.Murderer snake. Kylo:Yes,I am. Rey:我有点看不清了. 4.Master Yoda:But weakness,follu failure also.Yes,failure most of all.失败是最重要的.The greatest teacher,failure is.失败是最好的老师. 5.Master Yoda:Luke,we are what they grow beyond.That is the true burden of all masters.我们就是他们超越的对象,那是所有大师真正的重担. 6.Rose:I saved you,dummy.Not fighting what we hate,saving what we love. 7.Leia:Swing us around. 8.Just a video screen. 9.Leia:We have everything we need. 10.Kylo:Let the past die. 11.Kylo:The resistance is die.The war is over.And when I kill you,I will have killed the last jedi. Luke:Amazing.Every word of what you just said everything was wrong.The rebellion is reborn today.The war is just beginning.And I will not be the last jedi. 12.Leia:I know my son is gone. Luke:No one's ever really gone.